of Virginia, Georgetown University, the National University of Lesotho, the University of Cape Town and the University of the Western Cape. He specialises in modern religious and political movements in southern Africa. 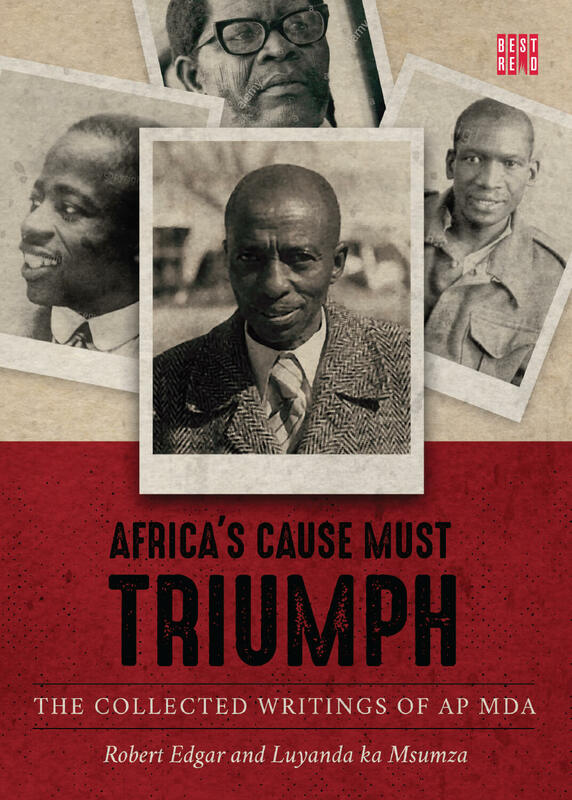 Among his works are An African American in South Africa: The Travel Notes of Ralph Bunche (1992), African Apocalypse: The story of Nontetha Nkwenkwe (20) (coauthored with Hilary Sapire) and The Making of an African Communist: Edwin Mofutsanyana and the Communist Party of South Africa, 1927–1939 (26). He is currently co-editing a two-volume documentary history of African American relations with South Africa. Luyanda ka Msumza was born in King Williams Town in the Eastern Cape and completed high school at Mzomhle High School in 1976. After becoming involved in the student uprisings of the time, he went into exile in Lesotho in 1978. In 1982, he left for the United Kingdom where he was trained as an aircraft maintenance engineer at Oxford Air Training School, just outside Oxford. After returning to Lesotho, he worked for the Transformation Resources Centre until 1987 when he moved to Zimbabwe and Dar es Salaam, Tanzania. He went to the United States where he received a Master of Science Degree in International Community Economic Development from New Hampshire College in 1988 and worked for a student organization in Cambridge, Massachusetts. Returning to South Africa in December 1990 after almost 13 years in exile, he enrolled for an Honours degree in History at the University of Cape Town which he received in 1993. Since then, he has worked for organisations on peace and development issues in various parts of South Africa. He is presently based in the United States. Document 39 Congress Youth League Document 40 Democritus, Wanted: A New Congress? Document 42 Ishra Discusses A.N.C. Document 63 African Nationalism. Is it a Misnomer? Document 71 Ishra, What Next? Document 73 Letter, A.P. Mda to Z.K.